Eric D. Welling is Deputy Assistant Director of the FBI’s Cyber Operations Branch, and is responsible for managing FBI Cyber operations. Mr. Welling joined the FBI in 1995 and was assigned to the Cleveland Division. 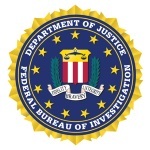 Mr. Welling investigated and managed a number of FBI priorities over the years as a leader of both field office and headquarters based personnel. Prior to the FBI, Mr. Welling was a Police Officer in Ohio and Special Agent with the U.S. Secret Service. Mr. Welling holds a Bachelor of Science in Political Science and a Masters in Adult Education.